Back in August we featured the eora 3D smartphone 3D scanner that was preparing to launch its crowdfunding campaign via Kickstarter. This week the campaign has launched and already blasted past the teams required 80,000 pledge goal raising over 140,000 in just the first few days thanks to over 532 backers. 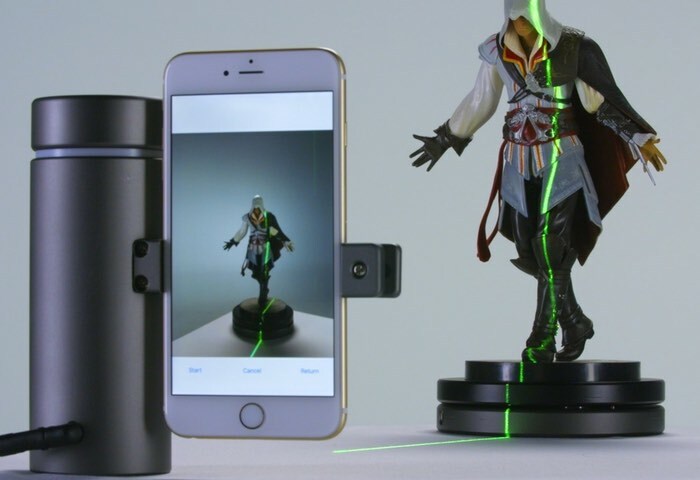 Priced at an early bird special price of just $199 the smartphone 3D scanner is capable of producing high precision 3D models from real-life objects using the processing power of your iPhone device. Its development team explain more about the eora scanners design, inspiration and functionality. For more information on the new eora smartphone 3D scanner jump over to the Kickstarter crowdfunding website where it is now available to pledge with prices starting at just $199.